I post about a lot of Beatles books. And it would cost a lot of money to actually buy all these books…trust me, I know! So to help my readers out, here’s a contest! In the comment section below, tell me why you love the Beatles and you’ll be entered to win a $10 Amazon gift card to help you build your Beatles library! This contest will run for 24 hours…starting NOW…11:24 a.m. (EDT)! I first heard the Beatles in Jan 1964 on AM radio when I was 11 years old & have been a fan every since. I grew up with them & they inspired me to form a band with a few friends in 1967, (I played drums). Their music is still as relevant today as when I first heard it! I love the Beatles and their music because through their music they brought happiness and levity in what was s very turbulent time in our history. 60-70s. I can’t help but smile and sing along to every song. I love the Beatles. It started when the anthology came out, I was 8 years old and was hooked. The music did not sound dated to me. In the beginning it was songs like Twist and Shout and Day Tripper that I liked but then discovered songs like In My Life, Tomorrow Never Knows, and Strawberry Fields where I was discovering some amazing soundscapes. I had never heard anything like that before. As I got older I realized how influential they were and as the 60s moved along, there were the Beatles still coming up with new ideas. It all goes back to the notion that the songs they recorded still sound fresh and not dated at all. No other band will have that impact again. Why do I love The Beatles? Well I could sit here for hours typing out why I love The Beatles but instead I’ll give you the short version. I’m 16, I wasn’t alive in the 60s and I am not even old enough to have lived at the same time as John Lennon (my favourite beatle for a multitude of reasons) but that doesn’t change the fact that these four boys have changed my life. It isn’t just about their music, which is revolutionary even today and will forever stand the test of time, it’s about who they are as people. So why do I love The Beatles? Well the extent to which I love The Bealtes goes far beyond their music and beyond their good looks. 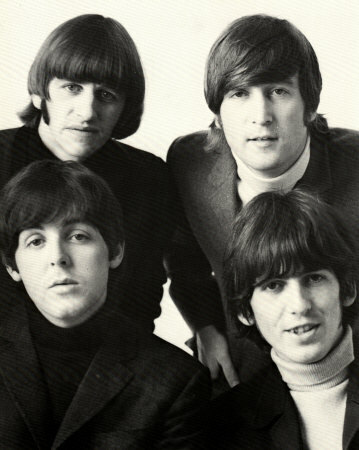 I love The Beatles the way I do because I love each and every one of those boys. I love them apart and I love them together and I will love them for as long as I live. Listening to their music is so much more special when you love each and every one of them and know details behind each song and album. Their music is so varied and really makes me feel so type of way. It’s special and will never not be heard by generation after generation!